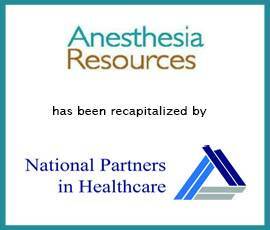 Anesthesia Resources (“AR”), a leading anesthesia practice in Phoenix’s East Valley Area, has joined National Partners in Healthcare (“NPH”), a national healthcare organization delivering best in class anesthesiology services. AR provides anesthesia services to three hospitals and seven surgery centers. Provident Healthcare Partners (“Provident”) served as exclusive financial advisor to Anesthesia Resources. The terms of the transaction were not disclosed. “The team at Anesthesia Resources has built a well-respected and differentiated platform that is poised for growth and expansion. With NPH as a partner, AR is poised to take advantage of several growth opportunities in the greater Phoenix market,” stated AJ Shekar, Vice President at Provident. “For the past 20 years, Anesthesia Resources has built its reputation as the best in class anesthesiology practice by providing the very best care to its patients in healthcare facilities throughout Greater Phoenix. This level of care has attracted additional growth opportunities that the partnership with NPH will allow them to execute on,” commented Steven Aguiar, Managing Director at Provident. AR was created in 1996 through a reorganization of its predecessor organization, Tri-City Anesthesia, Inc., as an all-physician anesthesia group providing a full spectrum of inpatient and outpatient anesthesia in Maricopa County’s “East Valley.” Since then, AR has been the leading anesthesia group clinically in the East Valley and within local medical leadership. For more information, visit http://www.anesthesia-resources.com/. NPH is a national healthcare organization delivering best in class anesthesiology services. NPH is dedicated to partnering with high quality anesthesiologists and CRNAs providing the expertise, resources, and long-term sustainable solutions to their medical practices. NPH’s anesthesiology partners retain full autonomy of their practice while collaborating with each NPH clinical team to achieve and deliver the highest quality patient care. For more information, www.nphllc.com. Provident is the leading investment banking firm specializing in merger and acquisition advisory, strategic planning, and capital formation for healthcare companies. The firm has a comprehensive knowledge of market sectors and specialties, including the anesthesia sector. Provident also has unsurpassed experience and insight into the M&A process, which includes working with a number of buyers such as private equity firms and strategic groups. For more information, visit www.providenthp.com.